Do you have a hero or heroine in your life? Whether they are alive or past, fictional or real, family or stranger, we all have inspirational people. And most times, these people would say things that will inspire us forever. Maybe you have more than one hero or heroine. Think about the person who has inspired you the most. What would they tell you? What would they say? What rules or morals would they live by? What theories or words of wisdom did they share? Why are these words important to you? Did these words help you get by at one point in your life? Did you identify with this person? Did the words change your life? Maybe it wasn’t a specific person who said this quote. Maybe it’s in a book, the newspaper, the Internet, a song, a movie… Who knows? It doesn’t matter. What matters is that the words stayed with you. Words can stay with us forever. Our lives are shaped by the communication we have between each other, and sometimes we don’t need to live with the person who says these amazing things, to feel connected to them. Or maybe the words just inspire us with such great passion that the person who said it is not even relevant. Our thoughts define our days, and our days are filled with things we say and things we hear. But just some words stay with us forever. 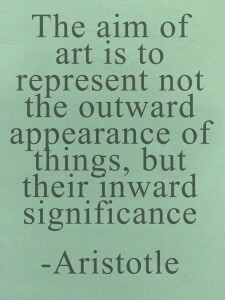 Make your favorite quote or thought a piece of art! 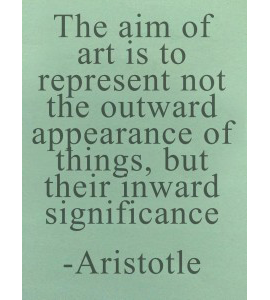 Art and Elixir can help you make your favorite quote, an inspirational masterpiece to put in your home for you to see everyday. We supply everything for you. 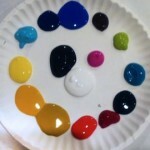 We use acrylic paints, and we have a wide variety of colors for you to choose. We supply a nice variety of brushes, and all kinds of canvas sizes. Words can change the world. Why not add an amazing quote to your everyday life? Welcome to our blog! 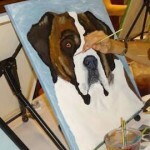 We, along with our professional artist and instructors, are excited to share unique artistic tips, inspirational quotes and images, a variety of fun facts, interesting tidbits about our artists, and other fun topics!